About - The Rotary Club of Keilor East Inc. The Rotary Club of Keilor East Inc. The Rotary Club of Keilor East was chartered on August 10th 1983. It has met at many different local venues over the years but currently meets on a Monday evening at Keilor East RSL in Hoffmans Road, West Essendon, Victoria, Australia. Besides aspiring to meet Rotary's motto of "Service Above Self", our Club Members strive to meet our Club's goal of having "Fun and Fellowship whilst helping others". We warmly welcome visitors and prospective members. We see being a Rotarian as belonging to a group of like minded people of various age groups, occupations and ethnicity who are interested in "giving back" to the community. Belonging to Rotary enriches our lives by providing weekly opportunities for meeting others, networking and helping people who are less fortunate than ourselves, both here and around the world. 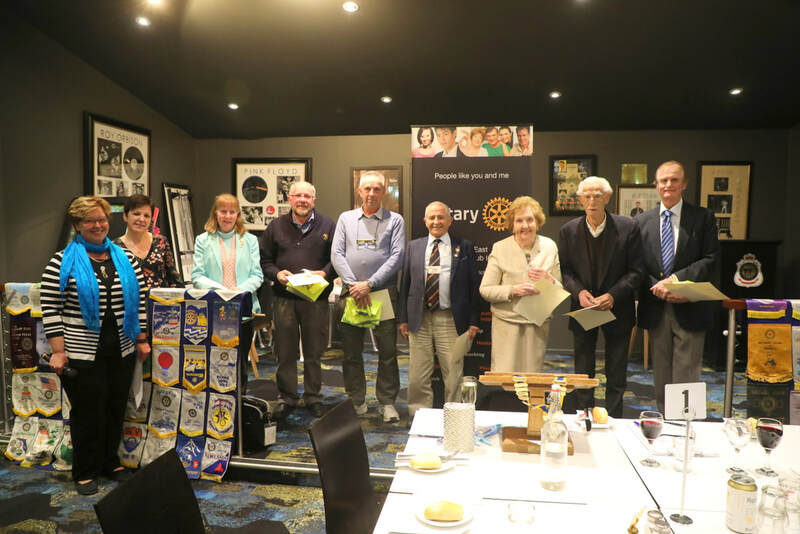 In August 2018 we were thrilled to welcome several Club Members from the former Brimbank Central Rotary Club. They brought a wealth of Rotary experience which will enrich our active Keilor East Rotary Club family.